People are being invited to a unique musical performance which merges sculpture and architecture, deep in the heart of England’s largest working forest. The award-winning Kielder Water & Forest Park in Northumberland, home to the largest open air art and architecture gallery in the country, will play host to an intimate live show on Sunday, September 22, 2013. Artist Ed Carter and architect Nicky Kirk have created 'Canopy’ – an unusual sculptural stage designed using data from the forest. ‘Canopy’ is located in a remote site in Kielder Forest called Smugglers Rigg – the only area of original trees remaining from the forest’s first planting in 1927. Ed described working in Kielder Forest as an incredible experience. He said: “The project really represents how our understanding of the site has evolved over time. “We wanted to work in the oldest part of the forest, and to reflect the pace at which the surrounding landscape has changed." The structure will form the setting for a series of experimental performances by four musicians, Hapsburg Braganza, Rachael Hales and Nicola Singh collaborating with Oliver Beck, who will respond to the unique and inspiring surroundings. 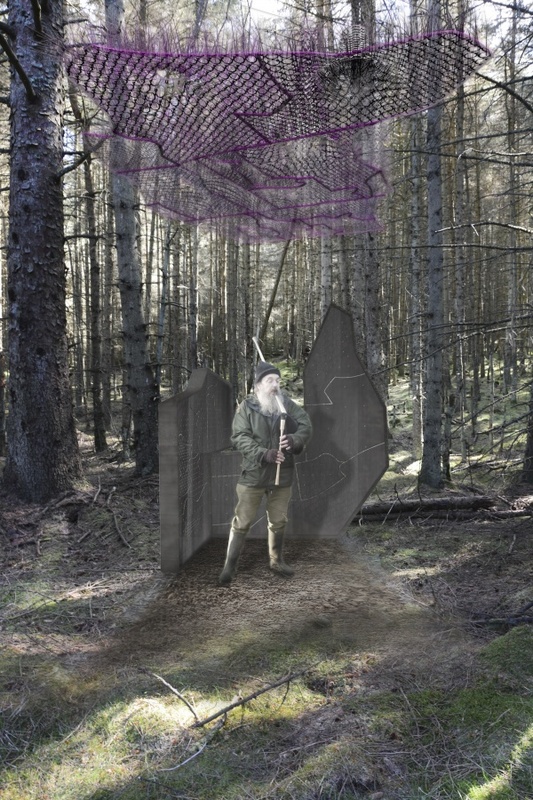 Peter Sharpe, Art & Architecture Curator, said: “Canopy is a project and event that celebrates a particularly unique part of Kielder’s immense forest and that has given an artist, an architect and a group of musicians the opportunity to respond to its unusual qualities. The Canopy score performances take place on Sunday September 22, 2013 and cost £10 per person. A coach will be provided from Tower Knowe Visitor Centre, Kielder to Smugglers Rigg. Alternatively, those travelling from Newcastle or Hexham can also take advantage of coach travel to Kielder. Tickets with transport from Newcastle or Hexham cost £16 per person. To book a place or for more information call Hexham Tourist Information Centre on 01434 652 220. To find out more about Canopy go to www.kielderartandarchitecture.com/canopy.html. Pictured is an artist's impression.